Email Data Breach Exposes Over Two Billion Personal Records – Has Cyber Security failed? Scott Ikeda’s report(1) on the Verifications.io data breach makes one thing clear: The incurable disease named cyber-security carelessness that leads inevitably to data breaches caused also this incident. First of all, the company misjudged the criticality of the data. Although the exposed information is publicly accessible the compilation in few data sets simplifies the job of cyber criminals. Phishing emails are just more credible if high quality data(1) is used. Secondly, the information in the MongoDB was accessible for everyone with internet access. This is not an isolated case. As of today, about 64,000 MongoDB(2) are visible in the internet, thereof about 18,000 with authentication not enabled. MongoDB accessible to the internet. This is easy to implement, at low cost. The big question is: Are such solutions effectively mitigating the risk if the system is accessible from the internet, without authentication? I very much doubt because the number and extent of data breaches is continually growing, despite annually increasing investments into cyber security. Technology does just not cure cyber-security carelessness. This entry was posted in Advice for SMEs, Puzzling discussions, Survival tips and tagged Cyber Security Carelessness, data breach, MongoDB, Verifications.io on April 20, 2019 by Klaus Jochem. LockerGoga. Mysterious and Dangerous. Part One. On 19 March 2019 Norsk Hydro was attacked with a ransomware called LockerGoga which partly took down operations. Although the manufacturing sites were hardly hit in the attack, the company reported(1) on 26 March in Reuters Technology News that the initial loss may exceed $40 million. SC Magazine reports(2) that earlier in March two U.S. based chemical companies were hit by a ransomware attack where LockerGoga was probably used. To evaluate the effectiveness of existing preventive and protective measures in defending LockerGoga we have to take a closer look on the ransomware and the attack vector. 1) LockerGoga does not self-propagate. In a report(3) published in Wired, Kelly Fiveash quotes cyber security expert Robert Pritchard: “There is no replication mechanism, this is not a worm, it is a targeted attack by the criminals.” In addition, it doesn’t use Command and Control (C2) servers. 2) LockerGoga relocates itself in the %TEMP% folder. For details see the post(4) on LockerGoga by TrendMicro. Security tools like Microsoft AppLocker or Blue Ridge Networks AppGuard are able to stop LockerGoga at an early stage. 3) LockerGoga is signed, hence its trustworthiness is increased. For details on the certificate see the post(5) of Nick Biasini in the Talos Intelligence Blog. 4) LockerGoga requires admin rights to run. For details on the manifest file see the post(6) of Pedro Tavares on LockerGoga. With this, UAC (User Account Control) prompts for the password of a privileged account on startup of the malware. In the worst case, if the user works with permanent administrative privileges and UAC is not set to Always notify me, the malware starts encrypting files without the user noticing. Even if the user has to call the help desk for support, the probability is high that the help desk inputs the required credentials because the malware is signed, hence appears trustworthy. 5) LockerGoga kills the antivirus system on the target machine. For details see Alan Greenberg’s post(7) in Wired. 6) LockerGoga disables all network interfaces after the files on the infected system are encrypted. For details see the analysis(8) on the F-Secure Lab blog. With this, remote access and recovery is no longer possible. The infected system must be re-imaged from the console. 7) LockerGoga changes the user password and logs out the current user. With this the user is locked out of all computers connected to the Active Directory. For details see the TrendMicro post(4). Speculations on how the attackers gained initial access. Kevin Beaumont provides more details on the initial attack vector in his worthwhile post(9) published on DoublePulsar. Andy Greenberg speculates in a post(7) published on Wired that “Once the intruders have an initial foothold, they use the common hacking toolkits Metasploit and Cobalt Strike to move to other computers on the network and also exploit the program Mimikatz” to gain access to more privileged accounts. That is somewhat baffling. Performing a deep dive into a network in the search of privileged accounts is a risky process, in particular if tool kits have to be loaded. Lateral movement takes some time, and in general, it is controlled through a C2 server. With this, the chance of success for the entire operation goes down to the extent the chance of detection of the attacker goes up during lateral movement.. In addition, why should an attacker start a ransomware attack after he gained full access to the Active Directory, hence access to all information on the network? Was the ransomware attack just a red herring? How to protect against LockerGoga? Deny all users on all computers to work with whatever administrative privileges. If required, grant administrative privileges only for the time the elevated privileges are needed, in the best case with local administrative rights provided by trained help desk staff. Remove the domain and enterprise admin groups from the local administrators groups. No member of these groups is allowed to logon to workstations. The best approach is to work always with local administrative accounts because these are not usable in lateral movement. Implement Microsoft LAPS(11) to keep the administrative overhead as small as possible. Set UAC to Always notify me. Train the users and supporters in proper action upon UAC requests from whatever processes. Disable the WDIGEST protocol on all computers to prevent storage of the WDIGEST passwords in plain text in the LSASS memory. Invalidate all passwords once ,  and  are implemented. This makes sure that the password hashes and plain text passwords stored in the LSASS memory are no longer valid. Implementation of measures  ..  dramatically reduces the attackers options to do a deep dive into the network. Critical details for the initial attack and the later execution of the malware are no longer accessible to the attacker. Collect IoC (Indicators of Compromise) from all computers. Killing the AntiVirus process or resetting an eventlog are indicators of compromise. They must trigger security incidents. Direct action upon this incidents is required. To increase the resilience against new kind of malware implement preventive solutions like AppLocker or AppGuard. Such solutions are able to block a large set of malware at least during the exploitation phase of the cyber kill chain. By the way, measures  ..  should already be in place because they are basic parts of cyber hygiene. 10. Dolman EC. Pure strategy: power and principle in the space and information age. London ; New York: Frank Cass; 2005. 218 p. (Cass series–strategy and history). This entry was posted in Opinion, Survival tips and tagged AppGuard, Applocker, cyber hygiene, LAPS, LockerGoga, Norsk Hydro, Ransomware, UAC, User Account Control on March 31, 2019 by Klaus Jochem. Im WEF Global Risk Report 2019 wird das Risiko Failure of climate-change mitigation and adaption unter den Top 5 Risiken sowohl bei Eintrittswahrscheinlichheit als auch bei Auswirkung an Position 2 gesehen, vor dem Risiko Cyber-Attacks. Tempo 130 auf deutschen Autobahnen kann einen Beitrag zur Erreichung der CO2-Einsparungsziele Deutschlands leisten. Diese Maßnahme ist sofort wirksam, mit geringen Implementierungskosten verbunden und hat keine Auswirkungen auf die vernetzte Logistik in Deutschland und Europa. Wer kann das von einer Maßnahme im IT-Security Umfeld sagen? 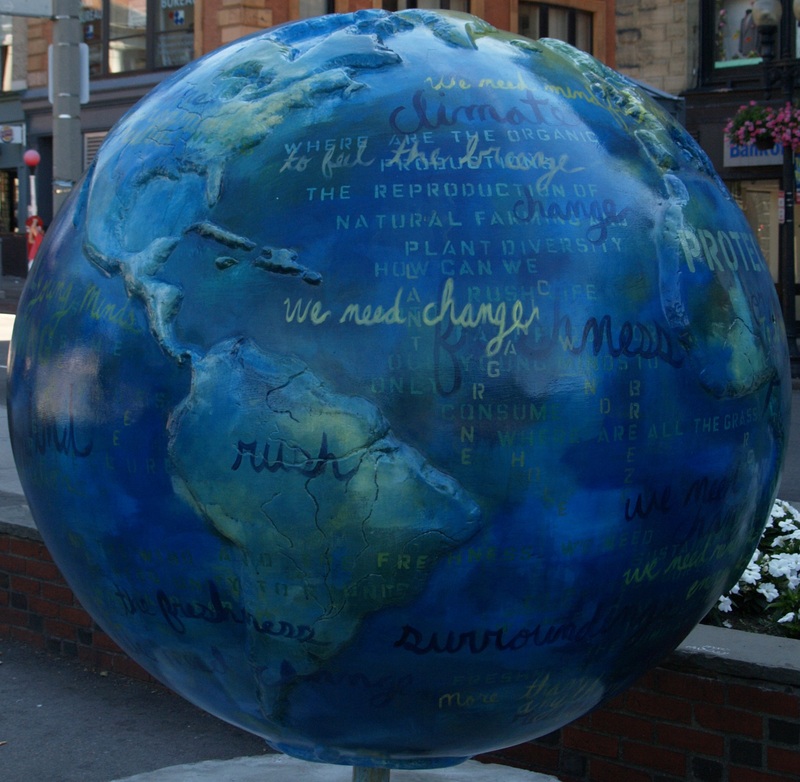 This entry was posted in Opinion, Survival tips and tagged Failure of climate-change and mitigation, Risk Report 2019, Tempo 130, WEF on March 17, 2019 by Klaus Jochem. A remote command-injection vulnerability dubbed SpeakUp (CVE-2018-20062) (1) in the ThinkPHP development framework was widely reported in the news some weeks ago. Technically, SpeakUp is simply one more command-injection vulnerability with CVSS V3.0 base score Critical that results in full loss of integrity if exploited. 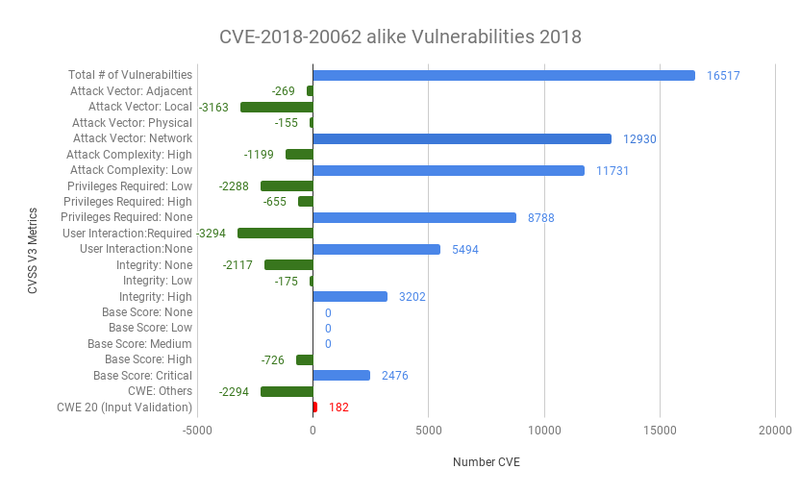 CVE-2018-20062-class vulnerabilities are quite rare. As of 10 March 2019 only 182 of the 16517 vulnerabilities published in 2018 belong to this class. Exploitation of any of these vulnerabilities results in full loss of integrity of the attacked system. In the worst case, the compromised system becomes the new base of operations for the attacker and allows him to compromise further systems. Tara Seals provides a brief outline (2) on ThreatPost of the initial infection routine. For more details see the Checkpoint Research report (3) about SpeakUp. The table below shows some details of the above mentioned vulnerabilities. Any of the listed vulnerabilities enables the attacker to create new operations bases. In the worst case, he can jump across network boundaries, e.g. from the DMZ into the company intranet or from the company intranet into the production network. How to stop this kind of attacks? From the tactical point of view, vulnerability management is the key to stop this kind of attacks as early as possible. CVE-2018-20062-class vulnerabilities and remote code or script execution vulnerabilities must be patched directly after they show up on the market. At least in the DMZ and on systems on both sides of network boundaries. This will prevent the attacker from lateral movement. Vulnerability management relies on asset management. And on CI/CD across the entire application stack because without automated testing it is not possible to make sure that the application is still working after the patches have been applied. From a strategic point of view, measures must be applied to enlarge the resilience of application systems against cyber attacks. This includes e.g. micro segmentation or Web Application Firewalls but also Linux native enhancements like AppArmor or SELinux. And this holds for both, cloud and on-premise hosted applications. This entry was posted in Advice for SMEs, Survival tips and tagged CVE-2018-20062, Cyber resilience, Lateral Movement, Micro-Segmentation, Remote Code Execution Vulnerability, SpeakUp, Vulnerability Management, Web application Firewall on March 10, 2019 by Klaus Jochem. Report ‘Deutsche Telekom proposes steps to make 5G safe as Huawei debate rages’ (1) published on January 30, 2019 by Reuters Technology News makes clear that at least the German government and the Deutsche Telekom started to discuss 5G security issues. “Deutsche Telekom takes the global debate on the security of network equipment from Chinese providers very seriously,” the company said in a statement that spelled out three confidence-building measures. From my point of view, this is not sufficient to increase trust in Huawei’s hard- and software. Moreover, it is also not enough to investigate Huawei hardware and software only. If it comes to matters of national security we should trust no network equipment supplier. Hardware and source code of all vendors must be verified by an independent organization. Only verified hard and software versions are approved for installation and operations. In addition, a technical testing organization must oversee the installation of hardware and software to make sure that only verified components are installed. I strongly recommend that the German government should found an independent firm for certifying the software and hardware of any network equipment supplier involved. A trusted German partner should hold a share of at least 51% in this company. Goal of this company is not spying on the suppliers know how, but to create trust in a critical infrastructure. Without trust in the 5G network infrastructure, service providers will not take full advantage of the technology. This will throw back the digitalization in Germany, and thus the German economics, by years. Internet access with 2 MBit/s, the standard in the rural German area Saargau, is definitely not enough to be competitive in the long-term, not to mention for self-driving cars or remote surgery. Enjoy the view on Saargau. This entry was posted in New Technology, Opinion, Survival tips and tagged 5G, Deutsche Telekom, Huawei, National Security on February 2, 2019 by Klaus Jochem. Seit einigen Wochen häufen sich die Berichte in der Presse über Zweifel an der Vertrauenswürdigkeit des chinesischen 5G-Technologielieferanten Huawei. Australien(1) und Neuseeland(2) haben Huawei bereits als Technologielieferant ausgeschlossen, Großbritannien(3) hat erhebliche Zweifel an der Datensicherheit der Huawei Technologie. “Technologien die Datensicherheit gewährleisten” – das klingt vielversprechend, ist jedoch nicht “einfach” per Gesetz zu erzielen. Zudem ist nicht klar, was im Umfeld der 5G-Plattform unter Datensicherheit zu verstehen ist. Friedolin Strack reduziert Datensicherheit auf Vertraulichkeit. Aus Sicht der deutschen Wirtschaft ist dies nachvollziehbar. Der Schutz von geistigem Eigentum ist die Grundlage für den Erfolg der deutschen Unternehmen auf dem Weltmarkt. Gewährleistung der Vertraulichkeit der Teilnehmerdaten. Gewährleistung der Vertraulichkeit der Nutzdaten, die Teilnehmer über die Plattform mit anderen Teilnehmern oder Diensteanbietern austauschen. Die Vertraulichkeit der Teilnehmerdaten ist von den Serviceprovidern zu gewährleisten. Der Lieferant der Plattformtechnologie sollte im Idealfall nicht auf Teilnehmerdaten zugreifen müssen. Technologien zur Sicherung der Vertraulichkeit der Nutzdaten sind bekannt und unabhängig von der Plattform umsetzbar. Die Ende-zu-Ende Verschlüsselung(6) ist die bevorzugte Lösung. Hier erfolgt die Ver- und Entschlüsselung der Informationen auf den Endgeräten der Teilnehmer. Solange der Plattformbetreiber keinen Zugriff auf die Schlüssel hat ist die Vertraulichkeit gewährleistet. Voraussetzung für die Ende-zu-Ende Verschlüsselung ist die Bereitstellung einer sicheren Schlüsselverwaltungsstelle, die die Online-Identitätsprüfung der Teilnehmer ermöglicht und die öffentlichen Schlüssel der Teilnehmer für die Verschlüsselung bereitstellt. Schneller, flächendeckender Internetzugriff ist die Voraussetzung für die erfolgreiche Digitalisierung und die Umsetzung von Industrie 4.0 in der deutschen Wirtschaft. Daneben stellt die 5G-Plattform die Infrastruktur für Smart-Grid Anwendungen im Energiesektor, Smart- und Connected-Car Anwendungen und selbstfahrende Kraftfahrzeuge im Transportsektor, e-Health Anwendungen im Gesundheitswesen, usw. bereit. In diesem Umfeld sind Datenintegrität und Verfügbarkeit der Plattform von größter Wichtigkeit, da deren Verlust zum Verlust der funktionalen Sicherheit führen kann. 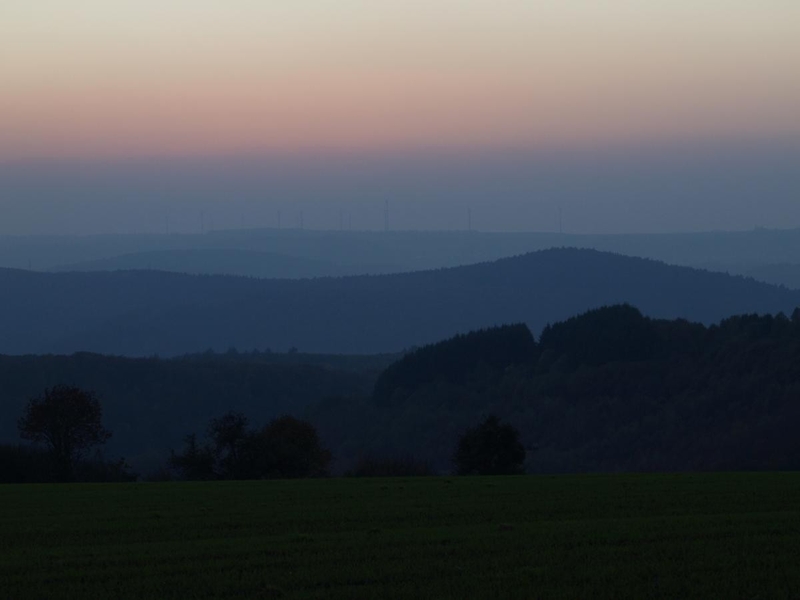 Verfälschte Energieverbrauchsdaten aus dem Smart-Grid können zu großräumigen und langandauernden Stromausfällen führen wenn die Stromnetzbetreiber falsche Entscheidungen auf Grundlage dieser Daten treffen. Der Ausfall der Plattform kann zum Stillstand der gesamten selbstfahrenden Transportflotte führen, etc. In letzter Konsequenz gefährdet der Verlust der Datensicherheit der 5G-Plattform die nationale Sicherheit Deutschlands. Die 5G-Plattform und sämtliche Services sind kritische Infrastrukturen (KRITIS) und unterliegen damit den Regelungen des IT-Sicherheitsgesetzes. Sind die Vorgaben des IT-Sicherheitsgesetzes ausreichend, wenn es um Fragen der nationalen Sicherheit geht? Die Überlegung, Huawei als Technologielieferant für die 5G-Plattform auszuschließen ist also berechtigt. Wir müssen diese Frage jedoch auch bei amerikanischen oder europäischen Technologielieferanten stellen – wenn es um Fragen der nationalen Sicherheit geht dürfen wir keinem Lieferanten vertrauen. Jeder Technologielieferant muss mit einem deutschen Unternehmen eine Partnerschaft eingehen, an der das deutsche Unternehmen 51% der Anteile hält. Ziel der Partnerschaft ist nicht der Transfer des Knowhows auf den deutschen Partner, sondern die Gewährleistung der Datensicherheit der 5G-Plattform. Der Technologielieferant bringt alle Software mit Quellcode und Hardware in das Unternehmen ein. Die besten IT-Spezialisten Deutschlands zertifizieren die Hard- und Software, erstellen das Konzept für den sicheren Betrieb der 5G-Plattform und verifizieren dessen Implementierung. Der Technologielieferant nutzt ausschließlich die zertifizierte Hard- und Software zum Aufbau der 5G-Infrastruktur in Deutschland. Das verzögert die Einführung der 5G-Plattform etwas, reduziert jedoch die Wahrscheinlichkeit des Verlustes der Datensicherheit drastisch. Parallel zum Aufbau der 5G Infrastruktur ist die Schlüsselverwaltungsstelle bereitzustellen. Damit ist gewährleistet, dass die Nutzer unabhängig von der Plattform (3G, LTE, 4G, etc.) sicher kommunizieren können. Werden zudem alle E-Mails digital signiert so sind Passwort Phishing Attacken nicht mehr möglich. Zudem muss die Forschung in neue kryptographische Methoden umgehend intensiviert werden. Die heute genutzten Public-Key-Verfahren sind im Zeitalter von Quantencomputern nicht mehr sicher. This entry was posted in New Technology, Opinion, Survival tips and tagged IT Security, 5G Netzausbau, Datensicherheit, Huawei, National Security, Nationale Sicherheit, Smart Grid, Connected Car, 5G, Mobilfunknetz on January 20, 2019 by Klaus Jochem. Dridex, Emotet, Locky, Destover, Petya, NotPetya, etc. share one feature: They are droppers. A dropper installs malware to a target system and executes it then. Droppers are delivered mainly by e-mail through phishing or spear phishing attacks. Since they are continuously refined to undergo malware detection the fight against droppers never stops. The Achilles heel of droppers is that they are executed in the context of the current user during delivery. With this the dropped malware can only be stored in locations where the user has modify privileges, e.g. the user’s home directory. If we can prevent the execution of objects from e.g. the user’s home directory the dropper can never execute the installed malware. With this we can block the malware during the delivery / exploitation phase of the Cyber Kill Chain, before the attacker becomes persistent in our network. That is the idea behind Windows Applocker. The Applocker default rules allow the execution of programs, scripts and dlls only from trusted directory systems, e.g. c:\Program Files, C:\Progam Files (X86), or c:\Windows. If activated, Applocker stops the execution of programs and scripts outside these trusted directories and thus Dridex, Emotet, Locky, Destover, etc. But Applocker does more than blocking droppers. DLL injection is prevented if DLL rules are enforced. I strongly recommend to enforce the DLL rules from the start. Drive-by downloads, PuA, PuP and Adware are blocked. Even the exploitation of zero-days like the latest Adobe pdf security flaw, CVE-2018-16011, can be mitigated. The entire network becomes more resilient against cyber attacks. Applocker is perfectly suited to enhance the resilience against cyber attacks in production networks and critical infrastructures. In particular in GxP regulated industries Applocker is worth to be looked at. Since Applocker is integrated in the Windows OS a validation of a third party white-listing application is not required. Applocker can be enforced on Windows Enterprise Edition installations (starting with Windows 7) with local group policies. To lower the administrative effort it is recommended to join the computers to a domain and enforce the Applocker rules through group policies. Unfortunately, Microsoft compromises the Applocker approach by tools like Teams and OneDrive. Both are installed in user context, thus will be blocked by Applocker. Since Applocker allows the definition of exceptions and their roll out with group policies such applications can be handled with manageable effort. Besides modern applications at least two cyber security sins reduce the effectiveness of Applocker. Users work with permanent admin privileges. In this case the dropper can install the malware in trusted directories. Working with permanent admin privileges is one of the IT security deadly sins, thus should be avoided anyway. Users have modify access to trusted directories and files. Check trusted directories and files with AccessEnum. If objects can be modified by users either change the ACLs or define an Applocker exception for them. Applocker provides great capabilities to enhance the resilience of organizations against cyber attacks. Just give it a try in 2019. This entry was posted in Advice for SMEs, Opinion, Survival tips and tagged Applocker, Destover, Dropper, Emotet, Locky, NotPetya, PETYA, PuA, PuP, Tridex on January 5, 2019 by Klaus Jochem.